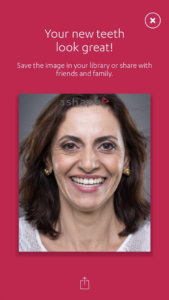 The my3Shape for Patients app can give you and your patients the control they need to feel satisfied with their restorations. 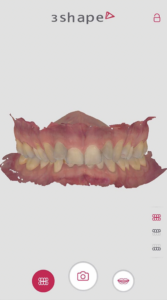 Whether they are following orthodontic treatments, planning a new smile, or simply want to see their teeth for themselves in 3D, this app will help your patients feel more involved in their dental restoration process. 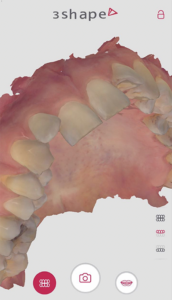 The app allows patients to stay up-to-date with their 3D scans, designs,and smile images. Patients are also allowed to share these images with friends and family at their convenience! As the doctor you may use the app as a tool to give your patients a visual of what you are asking them to invest in. It is easier for a patient to want to put their time and money into a restoration if they know what the end product will look like. 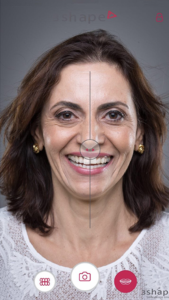 When a patient is participating in the process, they are more likely to leave your office happy with the restoration you have given them because they can raise any concerns they have at an earlier time than patients who are not using my3Shape for Patients. This app is just another way you can make your business run smoothly.